Diaspora Jews are increasingly likely to criticise Israel and support Palestinian rights. In most Western societies, Jewish organisations have sprung up to oppose Israel’s treatment of Palestinians, often facing harsh criticism from fellow Jews for their actions. Such groups initially appear to be exemplary liberal diasporic subjects, deploying universalist concepts such as ‘human rights’ in order to transgress and fracture ethnic boundaries and to engage with the narrative of the ‘other’. While this opposition to Israel has certainly challenged traditional Jewish representations of itself, this talk steps outside questions of identity and representation, and considers this worldwide social movement in terms of how it relates to Palestinians and their struggle, using the three overlapping concepts of translation, appropriation and solidarity. David Landy is an Assistant Professor in the Department of Sociology at Trinity College, University of Dublin. His research and teaching interests concern the politics of ethnicity and identity, transnational social movements, and Israel/Palestine. His academic work is informed by and informs his involvement in solidarity work, and he has served as the chair of the Ireland Palestine Solidarity Campaign. He has published on Irish Zionism and identity, study trips to Israel/Palestine, and diaspora Jewish opposition to Israel. 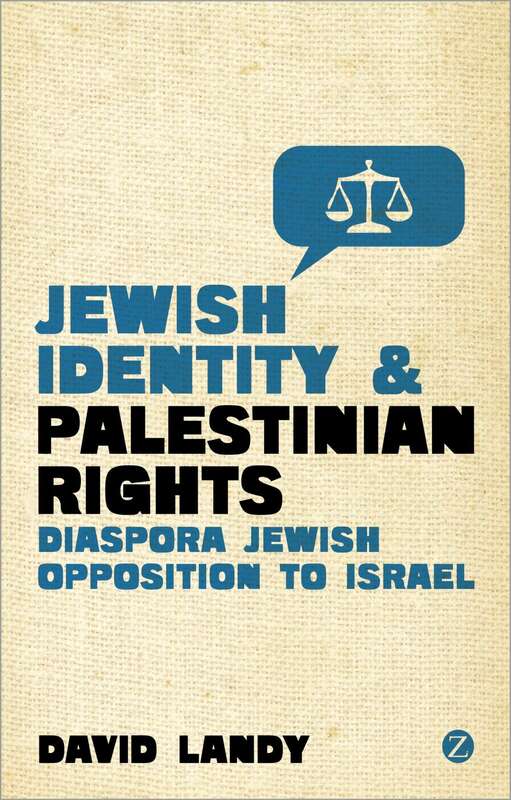 His recent book is Jewish Identity and Palestinian Rights: Diaspora Jewish Opposition to Israel (Zed Books 2011).